Maynards Block! Bright & Open 1 bedroom & flex layout in a concrete building. South East False Creek Neighbourhood. Spacious open kitchen, dining & living area great for entertaining. Walking distance to Whole Foods, groceries, shops along the Cambie corridor, restaurants, Olympic Village, Granville Island & Downtown. 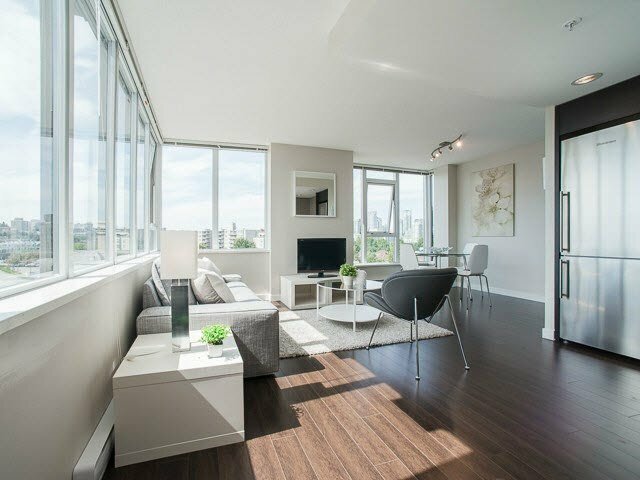 Steps away from the Canada Line & bus stops which make commuting a breeze. Quality finishes & fixtures throughout. Amenities include a gym, party lounge, common patio & concierge. 1 parking spot & storage locker included.